Kiev (AFP) - Ukraine's failure to fight state graft is testing the patience of its Western allies and threatening renewed economic and political chaos in a country still healing the wounds of war. The latest and perhaps sternest warning to the pro-EU team of President Petro Poroshenko came Wednesday from IMF chief Christine Lagarde -- the architect and one of the most ardent supporters of Ukraine's huge financial rescue plan. "I am concerned about Ukraine's slow progress in improving governance and fighting corruption," the International Monetary Fund's managing director said in an unusually strongly-worded statement. "Ukraine risks a return to the pattern of failed economic policies that has plagued its recent history." Lagarde's message struck at the heart of concerns of Ukrainians who joined three months of enthusiastic but ultimately bloody protests that brought down the ex-Soviet republic's Russian-backed leadership in February 2014. Polls show public frustration with Poroshenko and Prime Minister Arseniy Yatsenyuk mounting and hopes ebbing away that Ukraine was finally ridding itself of mind-numbing bureaucracy and bribe-taking. 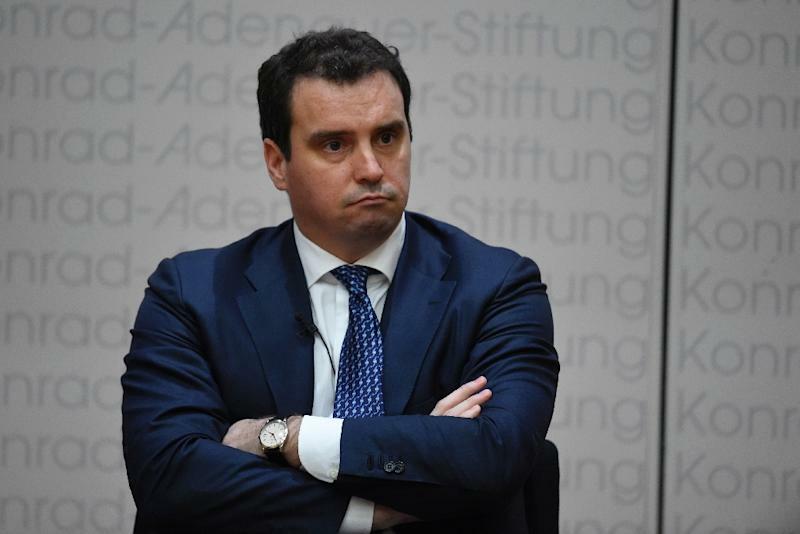 That angst was encapsulated by this month's resignation of reform-minded Aivaras Abromavicius as economy minister in protest at alleged influence-peddling by one of the most senior members of the president's inner circle. Abromavicius said he could no longer withstand pressure from shadowy business interests that were trying to seize the cash flows of the vast but opaque defence and energy industries. US State Department spokesman John Kirby called Abromavicius "one of those leaders who put Ukraine's interests above any personal interests of his own." Kirby's statement appeared to signal Washington's worry that the new breed of Kiev leaders it had put its trust in were reverting to old habits of standing up for their respective business clans. "The current crisis in Ukrainian politics is, first of all, a crisis of no confidence," experts from the George Soros-founded International Renaissance Foundation and 18 other Ukrainian research centres wrote in a letter to the president. "For the consistent pursuit of reforms, there are only two ways out of this political crisis: a government cleanup and creation of a technocratic and professional government, or early elections -- probably not only parliamentary but also presidential ones." 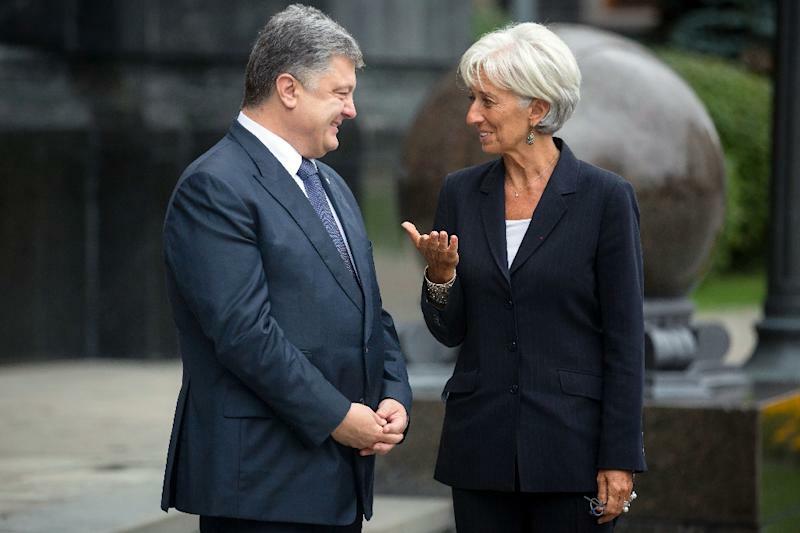 That prospect may have been one of the factors prompting Poroshenko to vow in a subsequent phone conversation with Lagarde to draw up "a roadmap of top-priority reforms that will give a boost to Ukraine-IMF relations." The IMF chief had said bluntly that it was "hard to see how the ($40-billion, 35-billion-euro) IMF-supported programme can continue" without Ukraine making good on its promise to take radical streamlining steps ignored in the past. But both Yatsenyuk and Poroshenko know they cannot survive without foreign assistance and that early legislative polls could return to power Russian-backed deputies who just might be enticed into warming Kiev's frozen relations with Moscow. Ukraine's central bank chief further also warned that the mounting uncertainty was putting renewed pressure on the hryvnia just as it was starting to find its footing from a 68-percent slide against the dollar since the start of 2014. "Without IMF support, we should expect devaluation and social instability," said Anatoliy Oktysyuk of Kiev's International Centre for Policy Studies. "The alternatives (to IMF support) are not even currently being considered because they are all apocalyptic," Oktysyuk said. Yatsenyuk will have all these unsavoury prospects in mind when he accounts for his performance before Ukraine's increasingly agitated parliament on Tuesday. He foreshadowed his performance on Thursday by promising foreign audits and new independent directors for Ukraine's top 50 state-held firms. 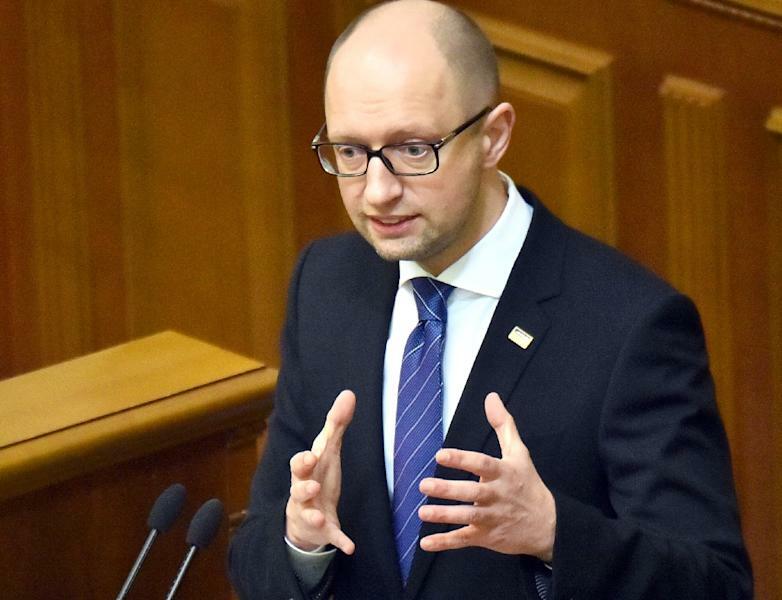 But many lawmakers have been sharpening their knives in advance of Yatsenyuk's appearance as they consider a possible vote of no confidence in the government. They had already shown their resolve by blocking a constitutional change pushed by Poroshenko that the West hoped would end Ukraine's 21-month separatist conflict by giving limited special status to pro-Russian rebel-run parts of the east. Analysts believe that deputies' instinctive desire to keep their jobs and avoid snap elections will keep Yatsenyuk in place and lead only to a minor government shakeup aimed primarily at preserving the current coalition intact. "If the government fails in Kiev, it will have a direct effect on political and economic support from the West. Ukraine's many sceptics will gain the upper hand, and its few friends will face a steep uphill struggle," said Joerg Forbrig of the US-based German Marshall Fund policy research institute. "Reduced assistance -- whether political, financial, administrative or military -- will eventually forfeit the modest gains Ukraine has made and expose the country's many vulnerabilities," Forbrig said.